Rabbi Laibl Wolf is presently the dean of Spiritgrow Josef Kryss Wholistic Centre in Melbourne, Australia, where he resides with his wife Leah. 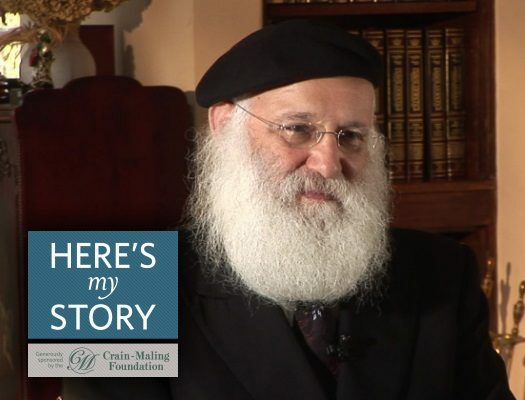 He was interviewed by JEM’s My Encounter with the Rebbe project in Brooklyn, in November of 2011. I grew up in a Torah- observant, chasidic home in Melbourne, Australia, where I attended Chabad’s Yeshivah Gedolah. Later, I studied law at Melbourne University, while continuing with my Torah studies on a part-time basis. Following graduation, I wanted to return to yeshivah, and I wrote to the Rebbe to ask his advice on the matter. His advice hit the mark. 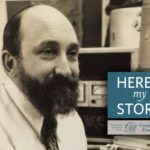 From then on I always strived to study Torah with a consciousness that I would be imparting to others whatever I learned, and I found my learning process accelerating tremendously as a result. Because of the Rebbe, in 1970, I applied for a position with Hillel, the organization for Jewish students on college campuses. And that’s how I, together with my wife and three-month-old baby, ended up as the Hillel rabbi at the University of Wisconsin in snowy Madison. A few weeks after our arrival, a group of radicals called the Weathermen bombed the physics building on campus, and I got a taste of what American university life was like at the height of anti-Vietnam protests. I set up a first-aid station at the Hillel House where students could run to wash the tear gas out of their eyes after confrontations with police and, in this way, I made some very good friends among the students, a few of whom later went on to became quite famous. However, the Rebbe urged me to focus on my mission of Jewish outreach rather than becoming overly involved with the Vietnam War issue. He told me, “Yes, you have responsibility toward all people who have been created in this world, and therefore, you should help anyone who is in pain. At the same time, you have to consider where your priorities lie.” He gave the example of two people drowning, one of whom is your brother while the other is a stranger, and you can save only one. ”Nobody will blame you if you choose to save your brother first,” he said. “Your brother is your priority. Of course, once you have met your obligation to your brother, you should help the stranger but, until then, your focus has to be clear.” And then the Rebbe looked at me and asked: “And have you completed all your obligations to your brothers and sisters?”? In terms of my obligations to the Jewish students, I sought his advice how to reach out to so many. At the time, close to fifty thousand students were enrolled at the University of Wisconsin, seven thousand of them Jewish. “How am I, a lone individual, supposed to interact with a very diverse community of seven thousand?” I asked the Rebbe. I took his advice to heart, and ever since then, I have sought to work with individuals rather than with groups. Of course, it’s not as if I abdicated my responsibilities to the others; I was the Jewish chaplain on campus and, as such, I organized services and programs for the Jewish holidays and the like. I recall one particular instance when I placed an advertisement in the student newspaper just before Passover. I was very proud of the clever design of this ad which urged the Jewish students to adopt the ways of the Jewish radicals of old who stood up to the Egyptian Empire. I felt this revolutionary language would really speak to the mindset of the time. However, when I sent a copy of the ad to the Rebbe, I got a response I did not expect. The Rebbe wanted to know why my ad didn’t mention any of the Passover mitzvot. From that, I learned a very important lesson. You can be as radical and contemporary with your speech as you want, but at the end of the day, if you leave out the crux of the matter, then your clever language is meaningless. After that, I made sure that the Torah message was front and center in my ads and in my lectures. Today, I am primarily involved in public speaking; I visit about sixty-five cities a year and I always keep that advice in mind. Sometimes the Chabad emissaries who invite me to speak complain, “Not everybody understood what you said.” And then I share with them the Rebbe’s take on the matter and they understand. But, in terms of the real effect, I know from the letters I receive that this approach opens many pathways to members of my audience. I cannot always find something that touches every person’s soul, but I can provide an opening so that they can go forward on their own. This was the Rebbe’s advice to me and, obviously, he knew best. I stayed at the University of Wisconsin for two years, moving on for the sake of my family to Hofstra University in New York, where I stayed another two years. But my wife was very homesick for Australia and there came a time when she poured out her heart to the Rebbe. And although the Rebbe had previously directed me to continue working in the United States, when he heard how unhappy she was, he reversed his position. 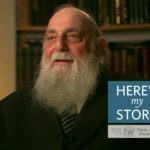 I was amazed that the Rebbe cared so much for the feelings of one individual, but then I realized that the Rebbe saw his emissaries as a couple and understood that the happiness of one impacted the effectiveness of the other. Later, when we sought his advice as to which job to take upon returning to Melbourne, my wife questioned whether I had the necessary qualifications for one of the positions offered to me. 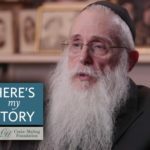 The Rebbe smiled, and said to her, “The position makes the person.” And I have found that to be very true — often Chabad emissaries don’t even know the strengths they have until they begin working in the field. This is something the Rebbe understood and anticipated, as he understood and anticipated so many things.